Workers stand atop a 100’ tower near Lake Worth waiting to connect a weather radar that will help detect and warn against damaging storms. A day after bad weather disrupted Friday night plans, a fast-moving system packed with high wind, lightning and some hail swept west to east across North Texas, knocking down power lines, tearing up trees and raining on the Academy of Country Music Awards’ Party for a Cause at Globe Life Park in Arlington. An estimated 90,000 people were without power as the storm blew through, according to Oncor, the electric-delivery company. 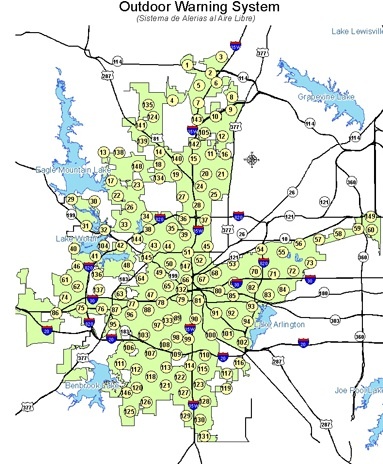 Most of the outages were on the western side of the DFW Metroplex. 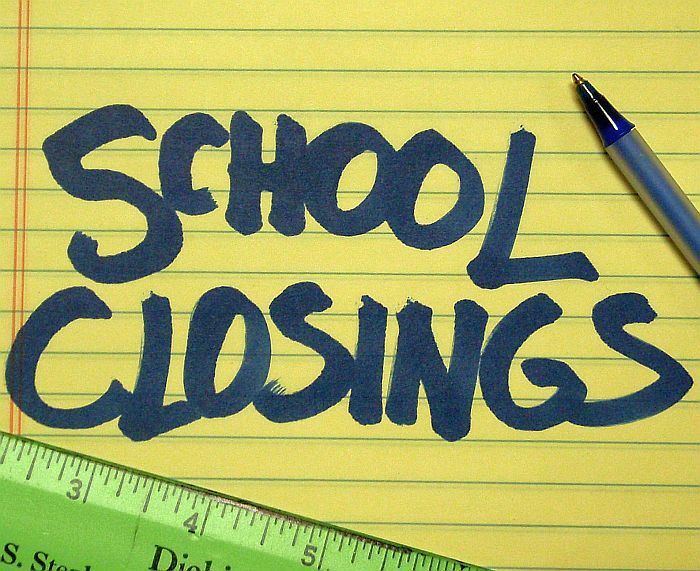 Check this list for school closings and delays. 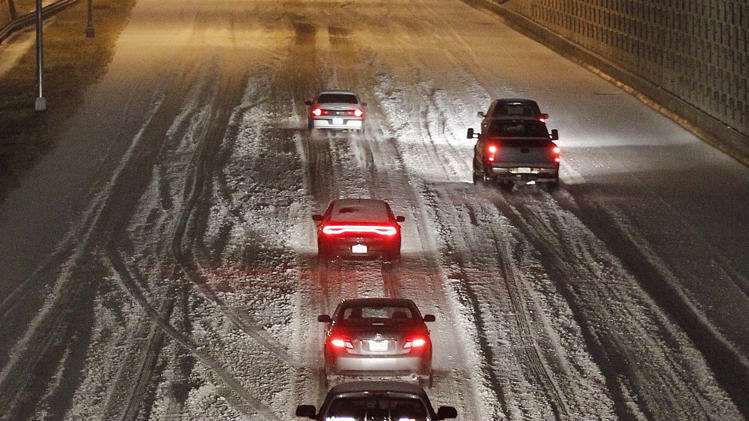 Despite a break in snowfall and freezing rain over the weekend and early into the week, officials with the National Weather Service warn that another wave of winter weather may be headed for North Texas later this week. 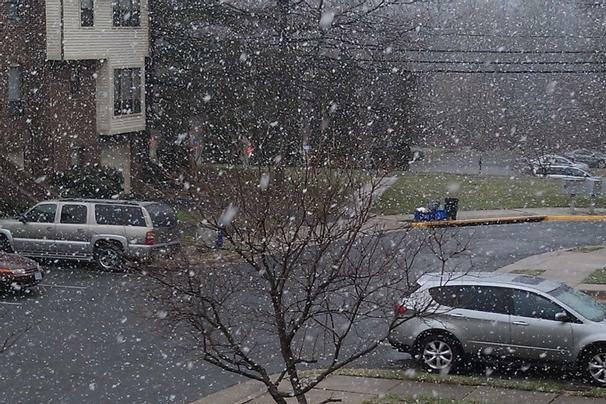 A winter storm that started Friday morning has left a heavy blanket of snow across the area. Travel has been slow and dangerous since early Friday morning when school districts announced an early release. 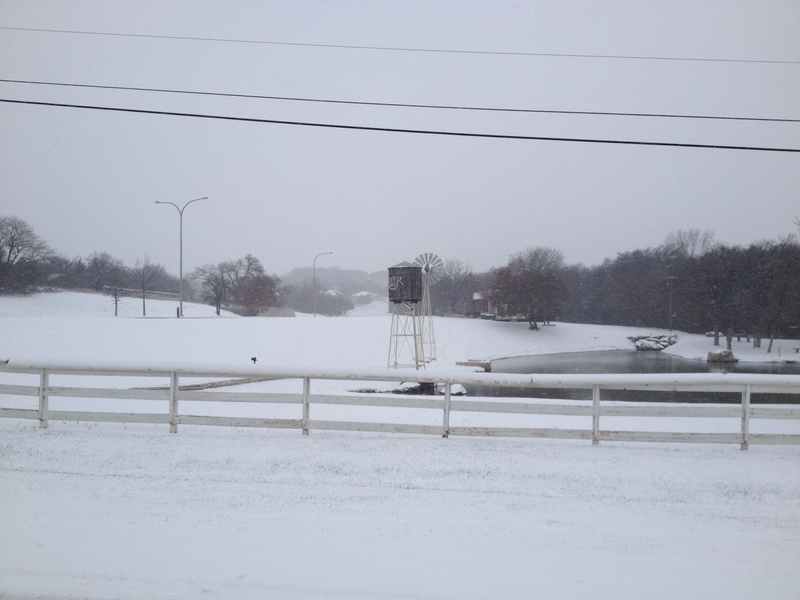 Photo: The Silver Ridge subdivision along White Settlement Rd. in west Fort Worth. 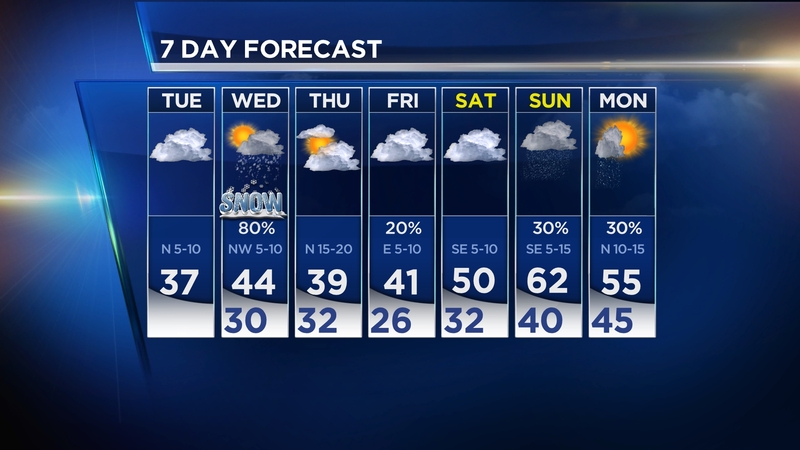 Winter is not done with North Texas. The National Weather Service expects a new storm to push through the Metroplex Tuesday night and Wednesday morning, dropping as much as 3 inches of snow. The latest Winter Storm Watch comes after freezing rain turned to ice on North Texas roadways early Monday, leading to school closures, flight delays and car crashes across the Metroplex. Whatever falls Tuesday into Wednesday is not expected to last too long, however, with temperatures expected to soon climb into the 40s. 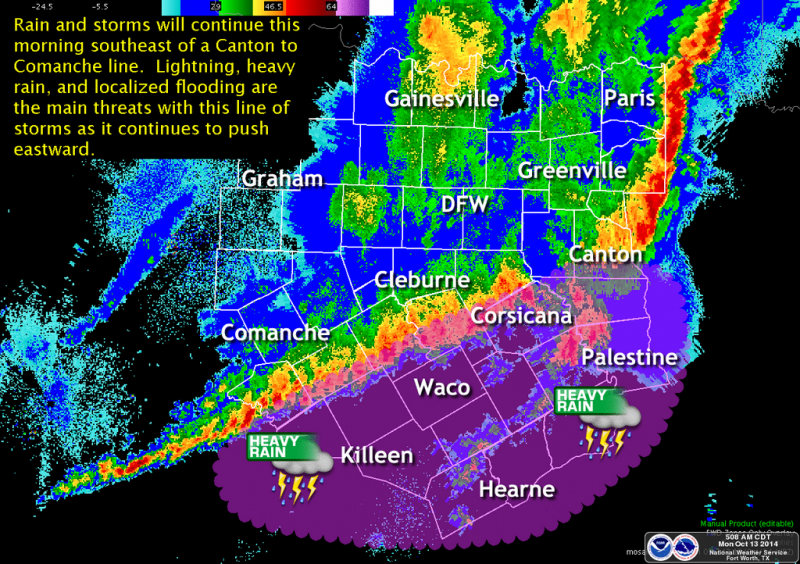 Storms brought high winds and heavy rain across the Metroplex early Monday morning. A city worker keeps an eye on rising water along the bridge of S. Redford Street in White Settlement. 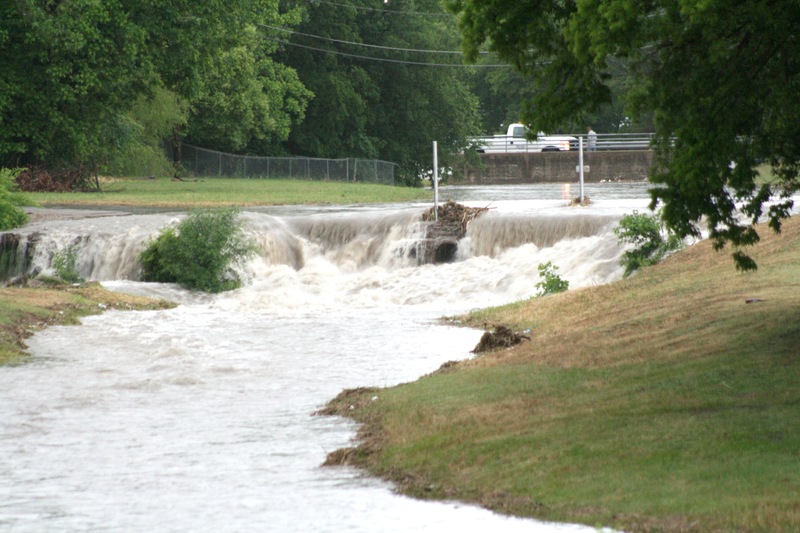 The street gates were closed on the S. Judd Street bridge that crosses Farmers Branch Creek during Monday’s rain storm. 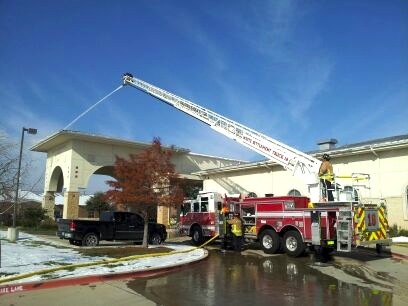 A piece of ice falling from the high rooftop at North Elementary School prompted help from the White Settlement Fire Department this past week. Firemen used the new ladder truck to spray water on the corrugated sheet metal roof to clear the ice from the recent winter storm. Punxsutawney Phil’s prediction says spring in on the way. 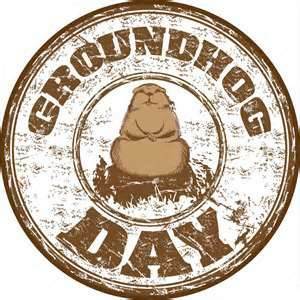 The years old tradition brought good news for most of us, but for a select few they are not counting on the groundhogs thirty-nine percent success rate. A steady rain along with cold temperatures made hazardous conditions for drivers around the area this week. 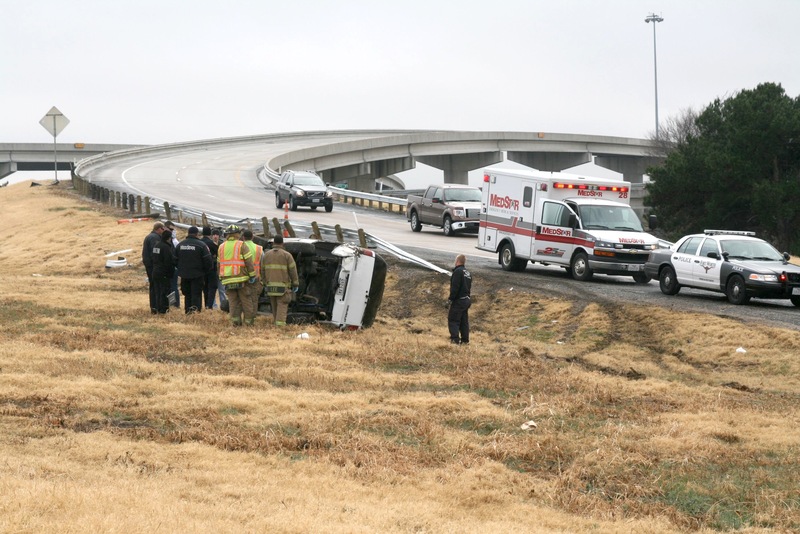 Several wrecks were reported including this vehicle that crashed through the guardrail and overturned after losing control on the I-30 exit ramp to northbound Loop 820. Rescue workers were inspecting the vehicle for a possible gas leak. 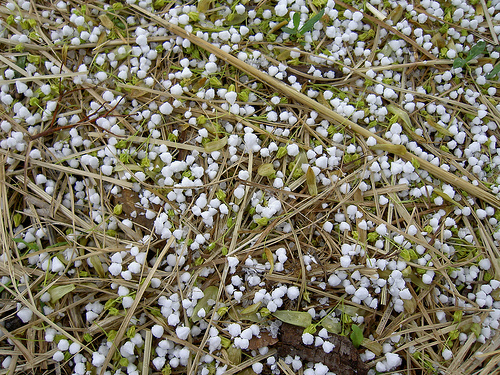 A light dusting of snow stuck to a few bushes early Monday morning as some early risers saw snowflakes in the sky. Mondays high should be around 44 degrees with the temperature dropping below the freezing mark again at night. Tuesday’s highs will be in the upper 40s. By Thursday, highs will be in the low 60s. There will be a chance of rain on Friday with the next cold front, which will drop temperatures slightly. About 150 emergency sirens are scattered across Fort Worth. Many of them went off by mistake this past week. Patches of Bluebonnets and other wildflowers are springing up along roadsides all over the Metroplex. Texas should have a colorful spring, with recent rains and warm temperatures bringing an abundance of wildflowers and blooms already popping up, experts say. 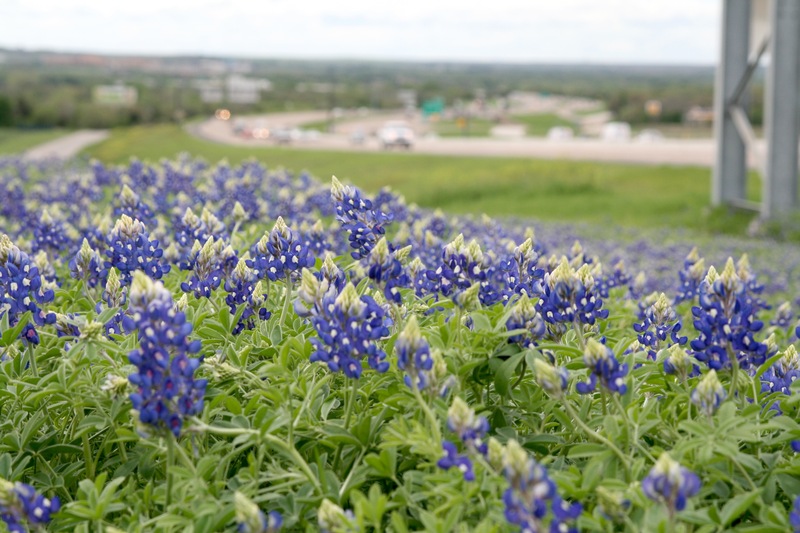 By the end of March, Texas should be awash in the reds, yellows, whites and blues of wildflowers, with the season peaking in mid-April, according to Damon Waitt, senior botanist at the Lady Bird Johnson Wildflower Center at The University of Texas at Austin. With rains throughout the fall and winter bringing an end to drought conditions that have persisted in the state since late 2007, Waitt expects exceptional early and late spring wildflowers in many parts of the state. “That really favors our Texas wildflowers, especially our early spring bloomers,” said Waitt, who added that flowers making an early appearance include Indian paintbrush, Drummond phlox and Texas’ state flower: the bluebonnet. The National Weather Service in Fort Worth has issued a flash flood watch for North Texas which goes into effect Monday morning through Tuesday evening. Several rounds of showers and thunderstorms are in the forecast, with some severe storms packing large golf ball-size hail, winds reaching 60 to 70 mph and a few isolated tornadoes. The biggest threat of tornadoes will be south of the Dallas-Fort Worth area. But forecasters say one of the biggest concerns will be the rains. They’re forecasting 3 to 6 inches in the area. A flash flood watch means that conditions are favorable for heavy rain, and flooding could occur in areas such as underpasses, low water crossings, small creeks and any other low-lying areas. The first big round of storms is predicted for Monday afternoon to evening; that’s when the severe storms could develop in some areas. Heavy rains also are on the agenda. North Texas will get a second round of heavy rains late Monday into early Tuesday. Forecasters say there’s a 100 percent chance of rain on Monday and 80 percent for early Tuesday. The high temperature for Monday will be in the 70s. 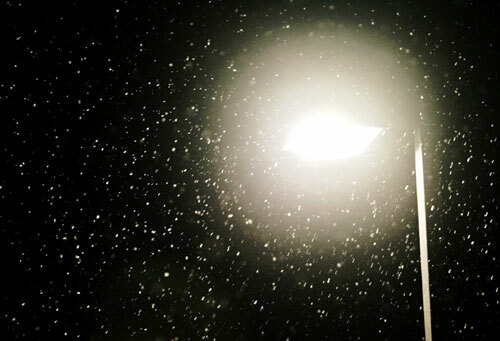 It will drop to the 60s on Tuesday and Wednesday, according to the weather forecast. There’s a slight chance of rain on Wednesday, but the rest of the week looks dry with sunny skies. Forecasters are calling for blue skies and temperatures in the 70s for next weekend. 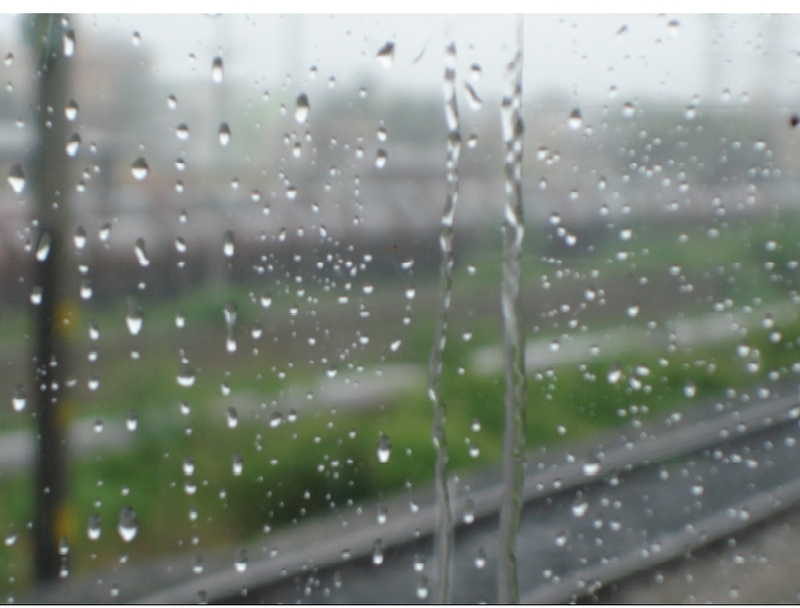 Expect more rain all the way through Sunday. The National Weather Service forecast for Dallas-Fort Worth called for a 100 percent chance of rain from noon Saturday through mid-morning Sunday. Forecasters were expecting one to two inches of rain for the western half of North Texas, including Fort Worth, and around 2 to 3 inches for the eastern half when all was said and done Sunday afternoon. Showers were widespread across the Dallas-Fort Worth area shortly after noon Saturday. 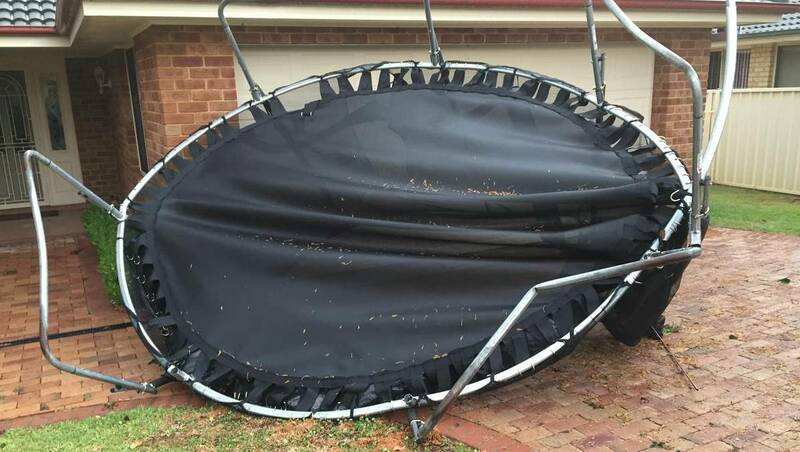 Scattered thunderstorms, some with small hail and gusty winds, were possible, the weather service said in its hazardous weather outlook. The high temperature Saturday was expected to be around 53 and will drop off only to about 50 for a low Sunday morning, the weather service predicted. A warming trend was to begin Sunday with high temperatures expected to be in the upper 60s. After a low Monday morning in the low 50s, temperatures were expected to climb into the low 80s under sunny skies Monday afternoon. 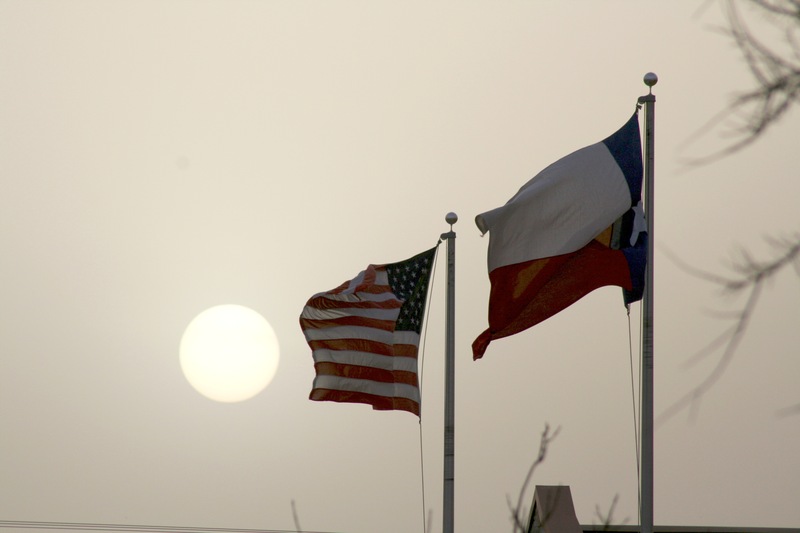 West Texas sands with the help of gusty winds cast a sheet of gray gunk over North Texas Sunday night making it hard to breath for some people. 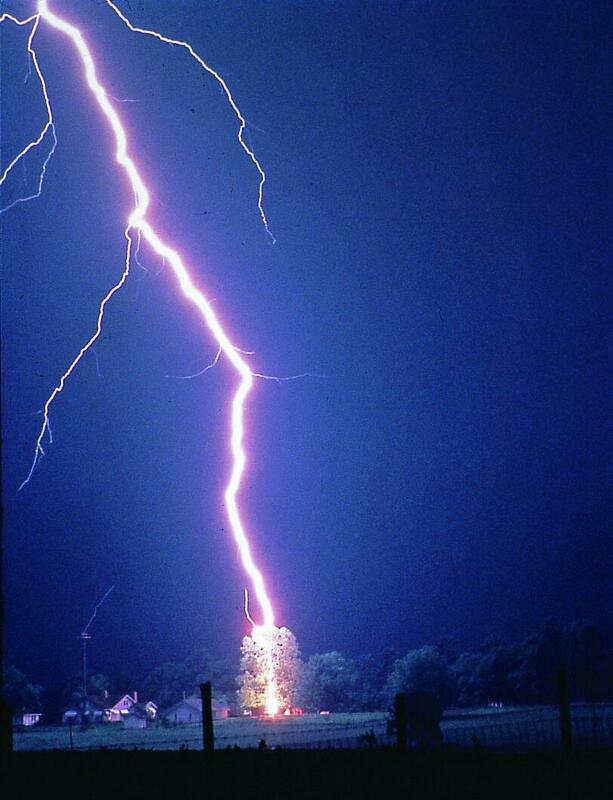 On Tuesday, a cold front blew in rain, thunder and lightning over the area causing some flooding in low lying areas. The welcome rain is expected to help some North Texas areas overcome their “drought” designations significantly bringing rain totals closer to normal. 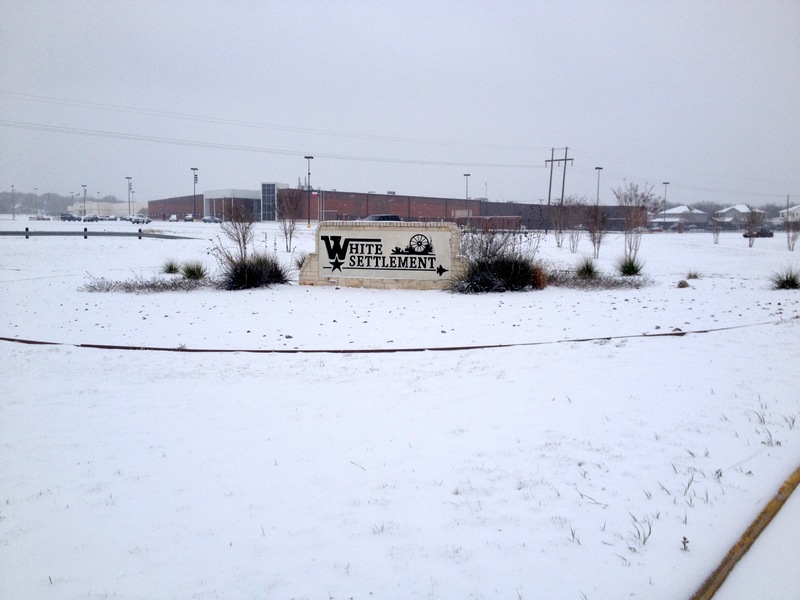 Heavy rain Tuesday afternoon prompted the WSISD to temporarily close the Brewer High School south entrance on Silver Creek Road for the rest of the week. The entrance to the high school from Silver Creek Road will re-open on Monday, Jan. 30. 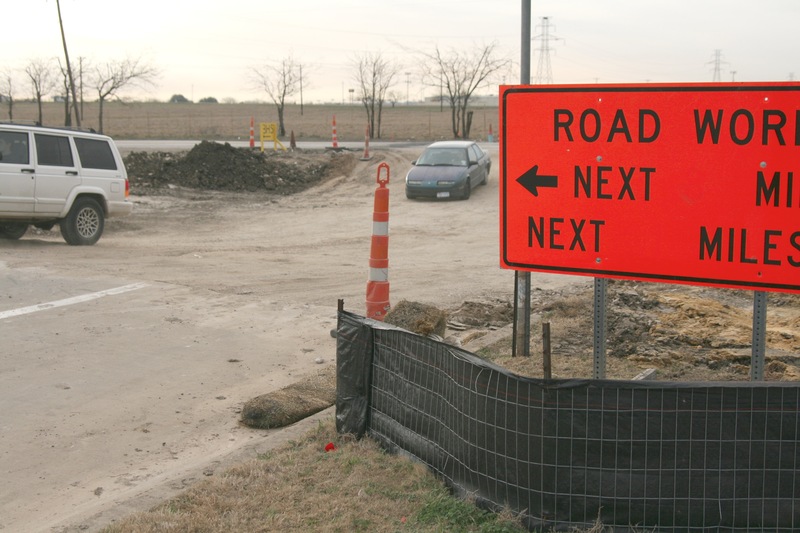 Crews have narrowed down parts of the roadway as the construction project to widen Silver Creek Road., just west of Loop 820, continues. The relocation of utilities in the area is just about complete while the south entrance to Brewer High School has been torn out leaving a deep channel for vehicles to travel through as they enter or leave the school. After the heavy rain on Tuesday, the ravine was flooded. 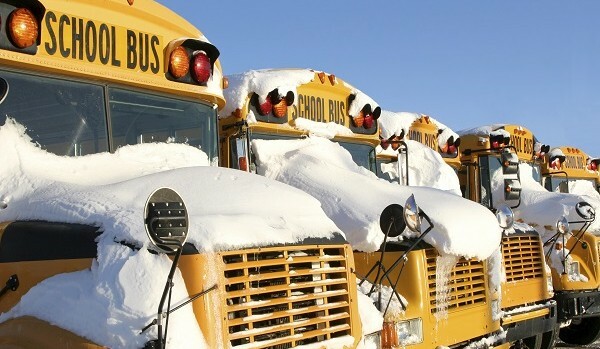 “We have re-routed the busses to the entrance on the service road for the next few weeks,” said Assistant Superintendent David Bitters. The project, which is expected to be completed this summer, will have 4 lanes of traffic including a signal light at the school’s exit/entrance on Silver Creek Road. Updated information about the south entrance construction will be on the school districts web site. An abundance of water fowls are making a temporary stop at area ponds and lakes as they search for food on their trek south. A frightful surprise is in store for them when they make their final destination. Bodies of water all across the western side of Fort Worth are filled with migrating ducks. 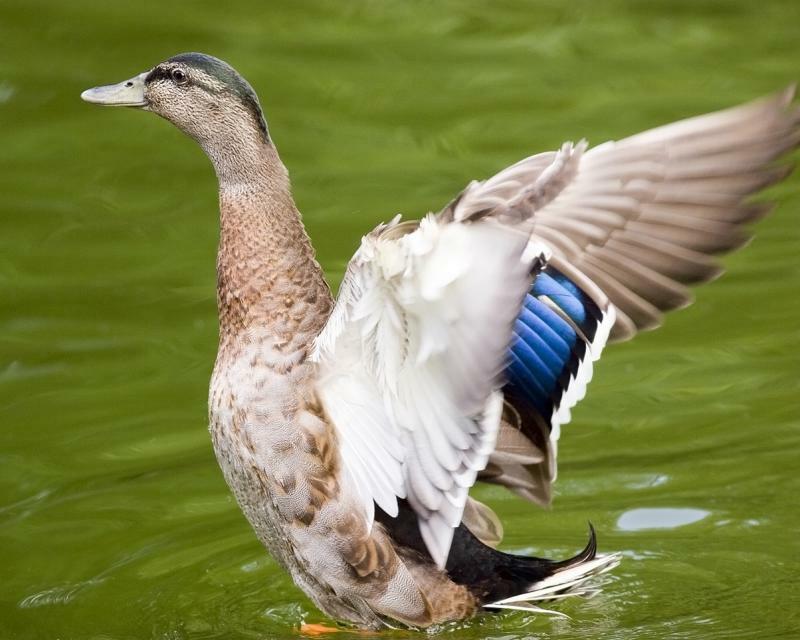 Nearly 100 ducks were counted searching for vegetation in a pond out in Westpoint this past week. What used to be hundreds of acres of freshwater with a healthy crop of submerged aquatic vegetation for ducks is now nothing more than dry and cracked ground. That’s how wildlife management has described conditions along the coastal marsh of Texas. With the depth of the drought that has brutalized Texas for the past year, the impact will be in the millions for wintering waterfowl and the waterfowl hunting seasons in most of the state. Why so many ducks? The breeding and nesting grounds of the prairies and parklands of the north-central United States and central Canada have been as wet as Texas has been dry. Surveys of nesting grounds that began in the middle 1950’s are now at record numbers. Blue-winged teal, shovelers and redheads are at record populations. Pintails are up more than 25 percent from last year, and their population is higher than in any year since 1980. As those ducks get to Texas, they find very few places to support them. Many of the places where water is available offer little in the way of food. While some areas in north and northeast Texas recently were blessed with much-needed rain, it did little to improve conditions. Crucial submerged aquatic vegetation that grows in shallow water was left high and dry with the drought. With nothing for the birds to eat, their visit will be short before moving on in search of better conditions.